Surgery Center in Minneapolis and St. Paul. and restore confidence in your sexual health. with minimally invasive surgery and non-surgical treatments. 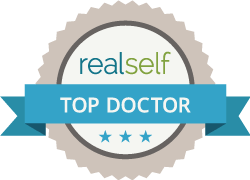 Dr. Harrington has earned a reputation as one of the best female plastic surgeons in Minnesota, and her surgical skills and competence have attracted national attention. Among her many accomplishments, Dr. Harrington has been named one of the “Best Doctors for Women” by Minnesota Monthly magazine. Additionally, she has been a Top Doctor in Minneapolis/St. Paul magazine every year since 2003. She is also an Adjunct Professor at the University of Minnesota and the Director of Plastic and Reconstructive Surgeons at North Memorial Hospital, Level 1 Trauma Center.